Carbohydrates are sugar as well! If you find yourself hankering for something sweet or savory during the mid-afternoon or in the evening after dinner then these are usually symptoms of sugar addiction or carbohydrates cravings rather than hunger. Being addicted to sugar and refined carbohydrates is a common issue with clients in my weight loss hypnosis program. But it’s also an issue even for people who aren’t overweight. People who are thin or don’t need to lose a lot of weight can still eat unhealthy foods and be a sugar addict which can cause other health issues such as heart disease, osteoporosis, and some auto-immune problems. The reason sugar addiction is common today is the amount of refined and processed sugars added by the food industry to much of what we eat. 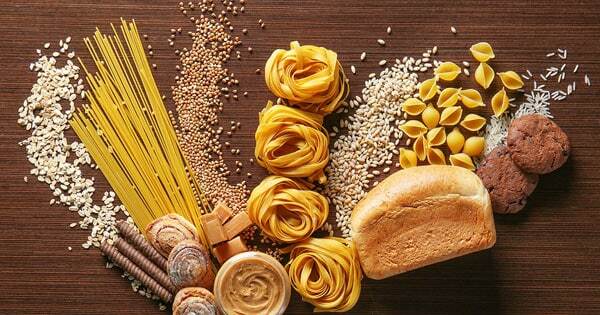 Our diets are heavy in highly refined carbohydrates which are just another term for sugar. If your diet contains large doses of potatoes, pasta, white bread, white rice, corn, and sweetened beverages then you’re in the danger zone of sugar addiction. Most foods that come in a box or package have added sugar or substitute such as high fructose corn syrup – HFCS. The fact is you don’t have to be a choc-a-holic or cake and ice-cream lover to exhibit sugar addiction symptoms or cravings – although if you have a sweet-tooth then likely you need sugar busters help as well. There is also a growing pile of evidence linking sugar addiction to chronic depression. 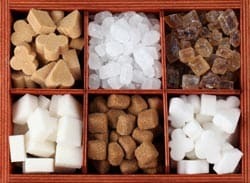 Nutritionists and doctors are taking sugar addiction seriously and the most famous examples are the books by researchers in this field such as Kathleen DesMaisons, Ph. D., and of course Sugar Blues by William Dufty and the Sugar Busters series of books. The insulin resistance caused by an up tick in sugar consumption forces your body to store it as fat. And a steady supply of sugar in the bloodstream, due to snacking between meals, means your body will never have the opportunity to dip into this stored fat for needed energy which means it… accumulates. Eventually leading to obesity and in some cases type 2 diabetes. This is precisely why I’ve developed a multiple session Sugar Addiction Program. You’ll likely experience withdrawal as you wean yourself off sugar and refined carbohydrates. You’ll be provided with resources to overcome sugar cravings but if you don’t use the tools then you’ll not succeed. You’re not a passive bystander in this program waiting for me to wave a magic wand over you to help you with your sugar addiction. This is your life and this hypnosis program will give you the help and tools to make it easier take control back of your diet and life – but you’ll be the one to do this… not me. You’ll be asked to agree to adhere to healthy foods and portions – again, no exceptions. While you’ll not be given a formal diet plan, success requires the eating of foods such as vegetables, fresh salads, fruits, and nuts. If you’re not a vegetarian you can eat liberal amounts of eggs, meat and fish. You’ll be turning your back on refined carbohydrates and sugar. If you don’t think you’re ready for this then you should wait until you are. I want you to succeed. In order to be accepted into this therapeutic hypnosis program I need the opportunity to talk to you during a free phone consultation session. This provides you the chance to ask me questions to determine if this is the right program for you and I’m the right hypnotherapist for you. It also gives me the opportunity to decide if I’m able to help you and take you on as a client. If we both feel this is the right program for you then you can decide if you want the sessions to take place in my Mashpee office on Cape Cod, or if you want the sessions online using your computer and Internet. Online sessions are becoming the norm now especially as I take on clients in other states and/or countries. To take the next step simply call (508) 269-0109, or complete the web form below and press submit so I can arrange to discuss further with you. If you prefer to call you can leave a message with your name, phone number, and depending on date and time when you leave a message I’ll usually call back the same day. My phone greeting will provide details on when you can expect a call back from me. This Sugar Addiction Program is customized to help you overcome your sugar and carbs cravings and get you back on track with your weight maintenance program, and having the energy and vitality you had when you were younger.